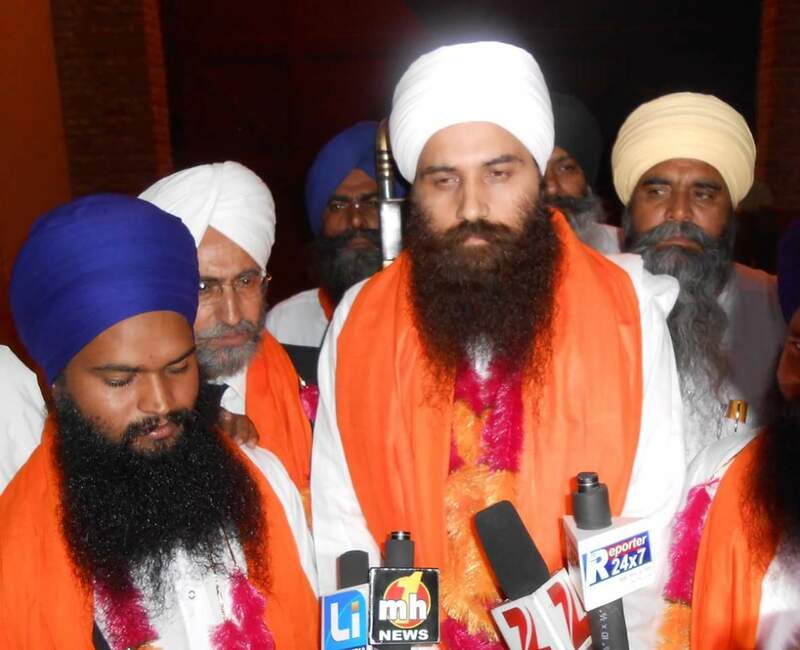 TARN TARAN, Punjab—Along with extending the remand of Jathedar Bhai Baljit Singh Daduwal (Jathedar selected and recognized by the Panth at Sarbat Khalsa 2015) to March 10, the Punjab Police have also framed United Akali Dal (UAD) president Mohkam Singh, one of the organizers of Sarbat Khalsa 2015, in an another case registered in Sadar Police station here against Sikh activist,s for blocking a road at Tarn Taran last year. Even as the Sikh leader had been released on bail, he was arrested again on February 3 by Tarn Taran Police from Amritsar in connection with a case registered against him at Harike Police station for blocking Harike bridge and destruction of natural assets and detained in Patti sub-jail. The case in which his named has been included, was registered on December 2, 2015 against Sikh activists, for a dharna conducted by them against the sacrilege of Guru Granth Sahib in the month of October last year at Amritsar-Sri Ganganagar national highway at Rasoolpur Nehran village under sections 283, 341, 379, 188, 427, 431, 148 and 149 of Indian penal code (IPC). Reacting to the Police action, Bhai Mohkam Singh said, “The Police framed me in another false case on the directions of Punjab government as I might be released on getting bail in the Harike case. My only real offence is that I called the Sarbat Khalsa in the aftermath of the sacrilege incidents,” he added. He said the need of Sarbat Khalsa arose as the government, the SGPC and its Jathedars deliberately did nothing to unearth the conspiracy behind the sacrileges.